An invigorating fitness class that fuses elements of ballet, yoga, sculpt and flow dedicated to working your entire body. Barre fusion is an intense full body workout that uses small isolated movements while incorporating cardio and stretching to define your body, tone and sculpt your core and lift your seat. For the new and aspiring practitioner. This class breaks down and focuses on the fundamental postures of the flow practice. We will build the poses from the ground up and teach you the proper alignment so you can flow through your practice with ease and confidence. Consider this your yogi 101! Classical Hatha Yoga is an ancient system that focuses on preserving the health and wellness of the practitioner. The Sivananda Hatha training system aims to retain the vitality of the body and decrease chance of disease, by simply and naturally cultivating the body. A Sivananda Open Class is a traditional, slow paced, meditative class that helps encourage proper breathing, flexibility, strength and vitality in the body while calming the mind. Because Yoga is a spiritual system with a physical component, this non-competitive approach helps the practitioner gain much more than just a healthy strong body. An active and energetic hour for those seeing a workout. All levels welcome. Warning: this class may be physically challenging but be prepared to workout...and have fun! Get your glow on for a glowing vinyasa flow yoga class. White and fluorescent colored clothing suggested. Glow sticks and body paint provided. What a marvelous night for a moon dance! You are probably familiar with Sun Salutations—a yang, or active flow that works with our masculine energy—but what about Moon Salutations—a yin, or more passive flow that works with our feminine energy? Yoga means union, which includes inner balance. In our busy lives, it is important to slow down sometimes, to experience our own innate tranquility. We can do this by honoring the feminine, manifested in our physical world as the moon and water. Join us for a slow, relaxing flow, longer holds of traditional yin postures (mostly related to the hips), pranayama (breath awareness) and a brief meditation under the moonlight. Slow and sweet and low - that is the tempo and them of this gentle practice. This class is primarily deep stretch with some elements of easeful, rhythmic movement and a super mellow soundtrack. All levels welcome and is a great for beginners and advanced practitioners alike. A gentle version of our signature vinyasa classes that explores strength and mobility at a more modified pace with straightforward transitions between shapes. Allowing students to feel more rooted throughout the session. Core strength and stability are challenged, but plenty of time is dedicated to flexibility as well. By exploring balance, you’ll find your center. Vinyasa means "to sync movement with breath", this class offers a constant steady flow where each pose seamlessly moves into the other. This is an all level class focused on harmonizing the body between stretch and strength. This class is in a heated room. This 30-minute yoga class is designed especially for children! Kids will practice various poses that are fun, yet sometimes challenging. They’ll partner with others and basic breathing techniques in a relaxed environment. Children who practice yoga are known to have increased focus, strength, flexibility, and coordination which impacts their everyday lives in the most positive ways possible. A mindful practice combining meditation and slow movement through seated, standing and reclined postures. Begin with breathing exercises to tune into the body, and a light guided meditation to focus the mind. Move through slow paced poses taking time for modifications to find alignment, and use of props to deepen each pose. Complete the class with restful Savasana and silent closing meditation. A class for those of all levels that enjoy meditation and slow yet deep movement to feel refreshed, relaxed, and centered. Joga offers an inclusive welcoming space for the practice of yoga on Sint Maarten/Saint Martin. It is our goal to foster a community of yoga practitioners and make this practice accessible to everyone through our community classes. Teachers rotate weekly to bring a varied practice of different yoga styles. This class is offered the first Sunday of every month. Pilates is a system of controlled exercises that engage the mind and condition the total body. This blend of strength and flexibility training improves posture, reduces stress and creates long, lean muscles. Pilates takes a balanced approach so that the body moves as an efficient, holistic system in sport and daily activity. This class will teach you the fundamental exercises that make up the entire Pilates repertoire with heavy emphasis on abdominal strengthening. Sleep in on your Sunday and join us for a later morning class. Smooth movement to wake up your body and prepare you for the week ahead. For those of us who love the water, it is only natural that we seek to find ways to merge the two together. Come challenge your balance, practice surrounded on all sides by nature, and have fun! Every class includes a mini lesson about the basics of SUP (paddling, turning, etc. ), so all levels are welcome, although some experience with yoga is suggested. There is a 2 person registration minimum per class. *Must pre-register at least 8 hours in advance and meet at Coconut's Water Sports on Kim Sha Beach. Focused on connecting the mind with the body, this slow paced class balances alignment and healing in both. Alignment exercises, supported resting postures, breath and body awareness, strengthening movements and deep stretches. Ideal for those with limited mobility or past injuries, and anyone looking to gently build strength, balance and flexibility. If the first half of class we look to work on establishing breathe and warming the body dynamically. While in the second half we turn it way down and take time for deep stretch and relaxation. No refunds on unused classes. Private sessions in our studio or in your home available. Please inquire for pricing. 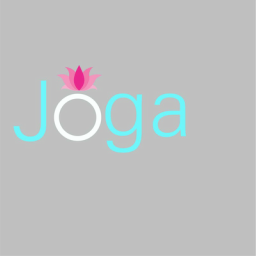 To reserve a class online, go to CLASS SCHEDULE and click "SIGN UP" in the upper right corner to create a Joga account. After that, you will be able to reserve a space in a class when you sign in.